This tightly-woven 100% New Zealand wool blanket offers durability and performance you can count on. This blanket's contoured design molds to your horse's back for maximum fit and comfort when combined with a contoured felt pad. Wicks away dirt and moisture from the horse's back for a cool and comfortable ride. Black. Measures 32" x 36". Made by Weaver. This tightly-woven, double weave, 100% New Zealand wool blanket offers durability and performance. 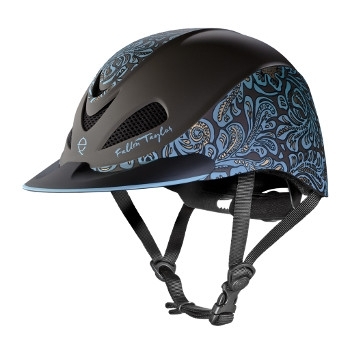 It’s designed for placement under contoured felt pads to help optimize fit while protecting and padding. This under blanket wicks away dirt and moisture from the horse’s back for a cool and comfortable ride. Measures 32" X 64". Made by Weaver. 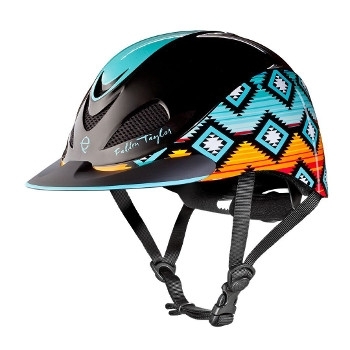 Sized perfectly for ponies, this pad features a Navajo pattern. A thick maize fleece lining and a 1" felt center offers optimum comfort. Suede wear leathers offer protection. Assorted colors and designs will be shipped. Measures 22" x 22". High-performance athletic boots are engineered with a Dynamic Sling System that provides superior support and protection to the suspensory tendons and ligaments. Our research and development team went above and beyond to ensure that both the wrap and sling were designed just right to ensure a perfect fit to the equine leg. We enlisted a variety of industry professionals and a wide range of horses to perform hours and hours of testing to fine tune the design. Keeping the needs of performance horses in mind, we built these boots from the finest materials for maximum shock-absorption to help prevent injuries and extend competitive careers. Features a form-fitting, shock-absorbing EVA foam design with neoprene liner and a stretchy binding for a snug fit that combined with darted edges keep legs free from dirt. Ergonomic design allows boot to move freely, providing your equine partner with the ultimate protection from injury. Fetlock circumference: 11"; Boot height: 10".